YTLPOWER forming lower high & lower low. 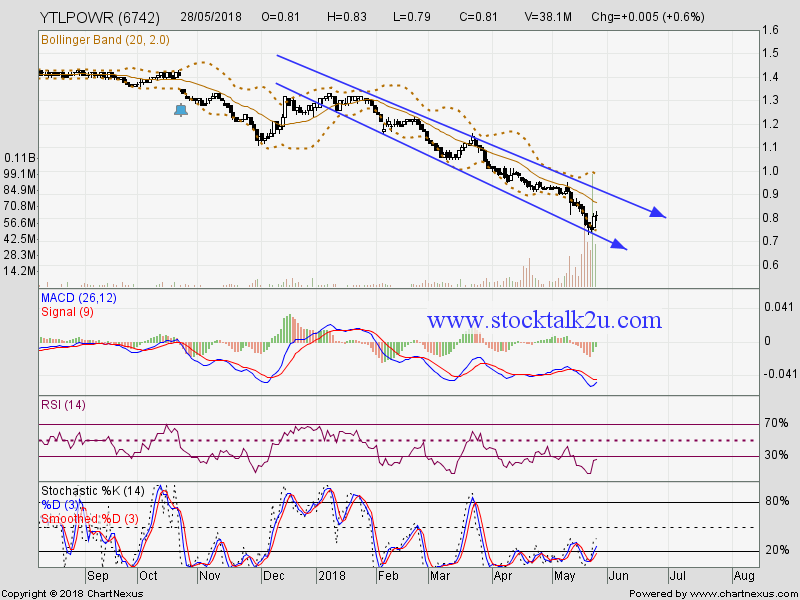 Will it breakout downtrend resistance level ? 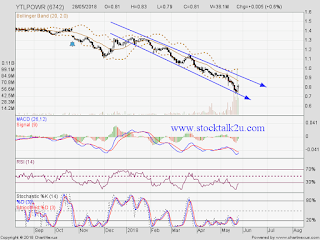 Subsequent resistance @ RM0.90 level. Immediate support @ RM0.73 level. YTLPOWER providing administrative and technical support. You can find us. Providing trading services digitally in stocks. Source: "Multi Management & Future Solutions"